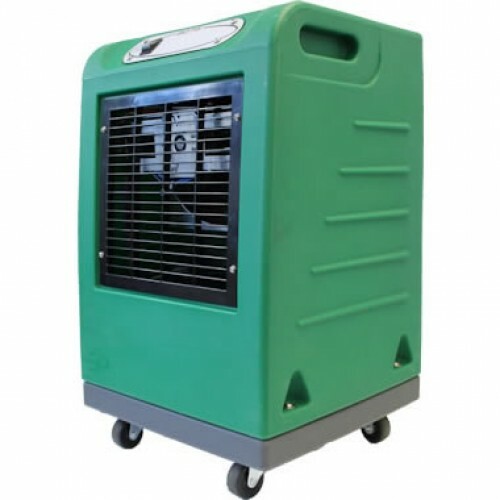 The Ebac BD70 commercial building dryer is medium capacity dryer that is the ideal choice for plasterers, decorators and the finishing trade when drying out single rooms and extensions. The Ebac BD70 is highly manoeuvrable for easy use, whilst still very durable for the construction industry. Extraction Rate Approximately: 12lts per 24hrs. Suitable For Burst pipes, Roof Leakage, Deflooding, Carpet Shampooing.# 4 Castors. Continues drainage facility requiring 1/2" i.d. drain hose. 110V/230V Dual Voltage (230V Also Available). Internal Voltage Selection Switch. Hot Gas defrost For Low temperature Operation. Height 508, Width 305, Depth 305 (mm). Running Costs Approximately 2.5p per hr. Powered by ShopFactory to sell P218 online. All-in one eCommerce and online shopping cart software.